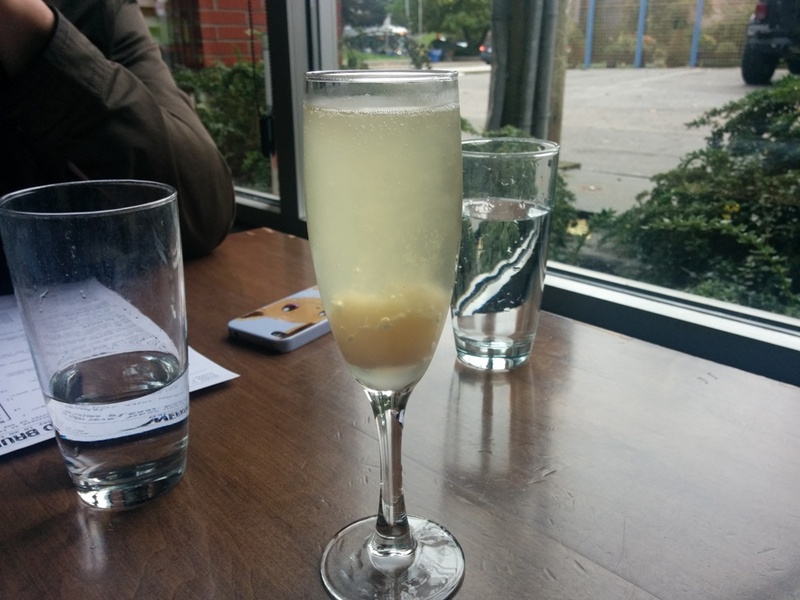 My friend had the Lychee Mimosa with prosecco and candied chili. There was a big piece of lychee at the bottom! You can just taste a hint of spice at the end. 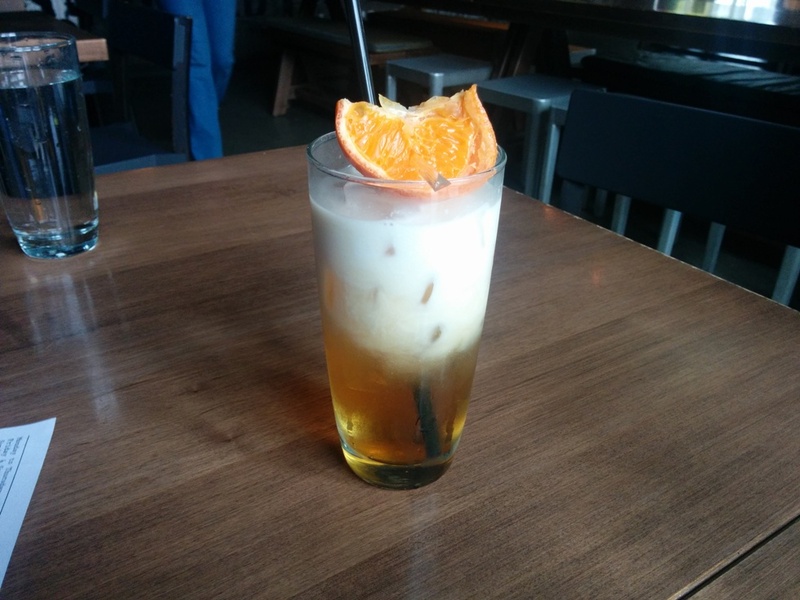 This was the Cha Yen with lychee black tea, star anise, cardamom, pandan syrup, coconut milk and ice. I love black tea and the mix of spices in here with the coconut milk was so delicious! 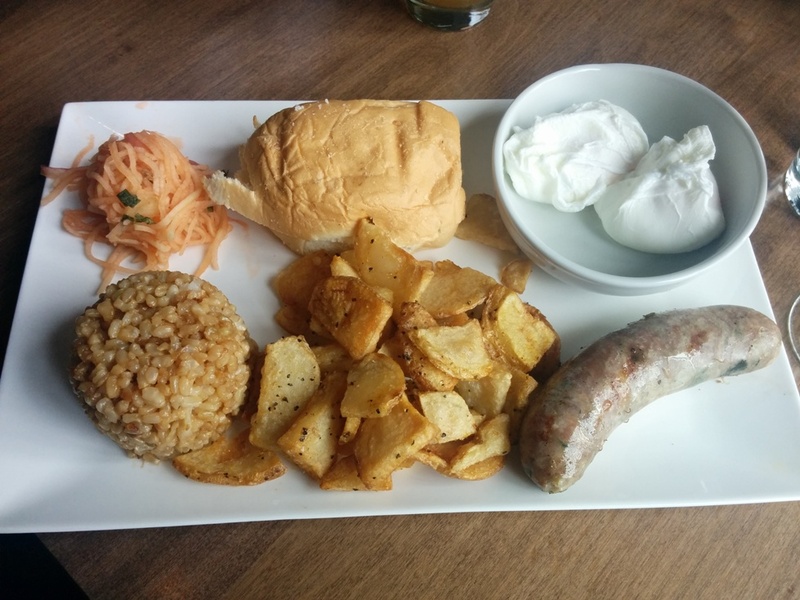 This was the Filipino Pankaplog with two eggs (we went with poached), sinangag (garlic fried rice), pickled papaya, pandesal and curry spiced hashbrowns. You also get a choice of bacon or sausage. 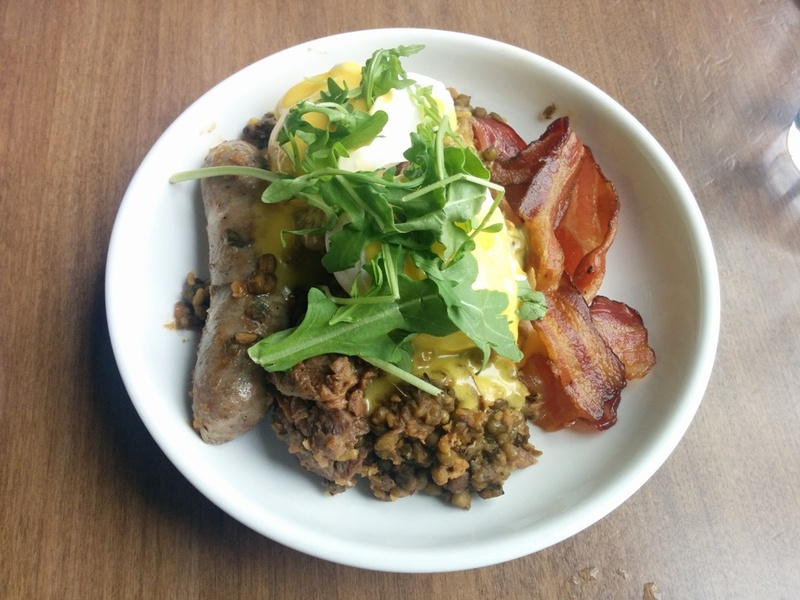 The Jimi had oxtail and mung beans braised with chili paste, lemongrass pork sausage, strip bacon, poached eggs and hollandaise sauce. There were some good flavours going on here but personally, I wish there were no beans. Lots of protein too! 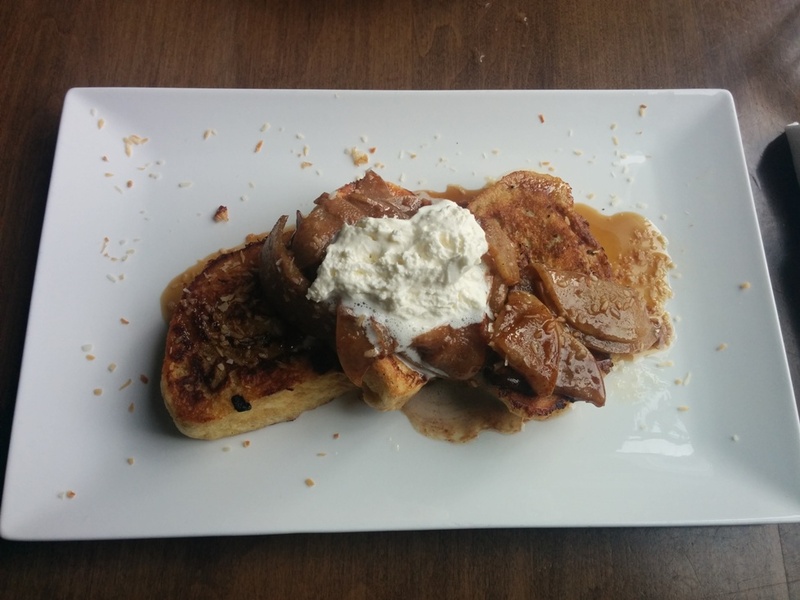 I had the Pandesal French Toast with five spice toffee sauce, sauteed Asian pears, whipped cream and toasted coconut. Pandesal is a type of Filipino sweet bun so it gave the french toast a sweeter flavour and it was quite fluffy. There are actually three pieces here. I liked the sweetness of the toffee sauce with the Asian pears too. Finally we have their Bao Bun Benny! They have three options for you to choose from: soy chili pulled pork, double smoked bacon or sauteed shitake mushrooms. 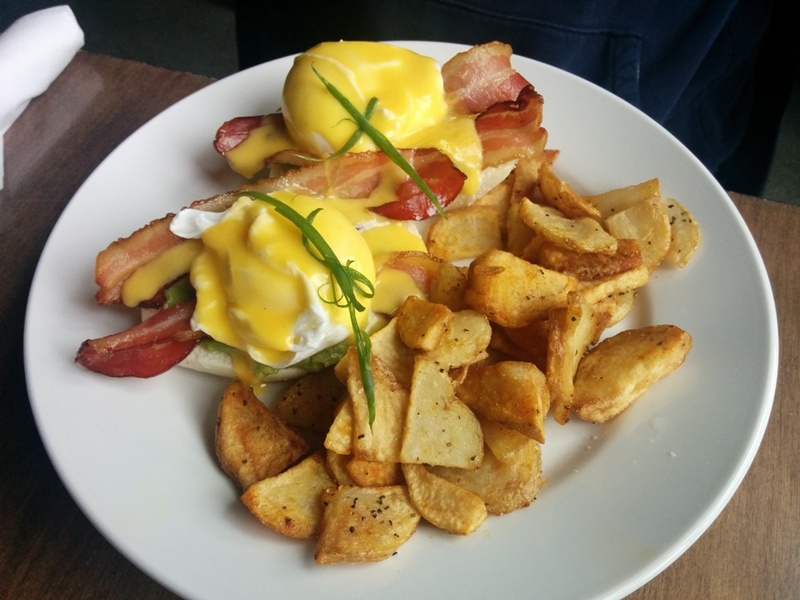 My friend went with the double smoked bacon, Asian guacamole, hollandaise and curry spiced hashbrowns. We never figured out what Asian guacamole was but the bao bun went surprisingly well with everything due to the soft texture and it can easily soak up flavours. The curry spiced hashbrowns were also tasty and different. It’s not actually spicy. We loved the interesting fusion options they had here and I wouldn’t mind going back for dinner. Also, Crackle Creme is just a few doors down if you need dessert!